Ever notice how everyone seems to get sick at the same time? Stressful times, holidays, major weather changes all seem to trigger the onset of sniffles. Our immune systems do a great job of protecting us from the millions of viruses and bacteria we encounter every day, but when we get run down it’s harder for our bodies to stay ahead of the bugs. Seasonal changes bring a whole new set of pathogens into our environments. Bacteria who love hot summer days run away from the cool cloudy days of fall, making way for a whole new set of bugs to fend off. It takes some time for our immune systems to recognize the new invaders and create antibodies to them, and during this time we are particularly vulnerable to succumbing to an attack. Most seasonal bugs are minor inconveniences. 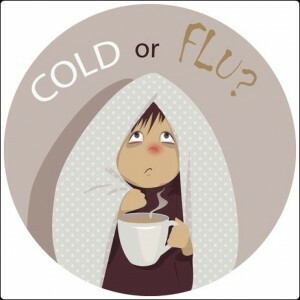 We get the sniffles, our noses run for a few days, perhaps we get a cough or sore throat. These illnesses run their course in a few days and we’re good as new. Some are bigger annoyances – we run a fever, feel generally awful, and need to spend a few days to a week laying low and recovering. Some of these become more serious and lead to lingering chest coughs, sinus pain, and other miseries. 1) Wash your hands. Wash thoroughly and wash often. No need for alcohol-based sanitizers, though they’ll do in a pinch if you’re not near water. Warm water and plain old soap, scrubbing the hands for 30 seconds or more, dried with a clean towel or blow drier will wash away most of the bugs you can get from rubbing your nose or eyes with a germ-laden hand. Wash after blowing your nose and using the toilet to keep from spreading your own germs. Wash before eating, after handling public door knobs and telephones, and whenever you’ve touched something which concerns you. If your hands are drying out from all that soap and water, carry a paraben-free moisturizing cream and use it after drying them off. 2) Get enough sleep. 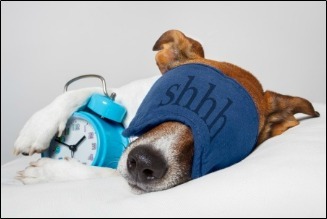 While everyone is different, most of us need between 7-8 hours of sleep every night. To figure out how much sleep you need do this simple experiment: On a “normal” day make a note of what time you go to bed and don’t set your alarm. Note what time you wake up naturally and how many hours you’ve slept. You may need more sleep during times of stress, and you may sleep less when you are particularly excited about something, so try this experiment a few times to really understand your sleep requirements. Once you’ve figured it out, make sure you hit the sack early enough to get at least your minimum requirement most nights. 3) Avoid sick people. This may seem like common sense, but sometimes it’s easier said than done. If everyone at the office is coughing, it may be a great time to arrange to work from home or schedule that customer meeting in another state. If you can’t stay completely away, make sure you stay out of range of coughs and sneezes, avoid shaking hands, and wash your own hands after touching community objects. 4) Dress in layers. Changes in seasons can bring wild swings in temperature. Its 40 degrees when you leave for work, 75 degrees at lunch, 55 degrees when you leave for the night. The office air conditioner is still blasting away even though it’s chilly outside. Or the heater has come on early, filling your work space with warm dry air. Being able to pull a sweater on and off, or wrap and unwrap a scarf can make a huge difference in your comfort throughout the day and can reduce your risk of getting sick. 5) Support your immune system. When I was growing up, if I started to feel the sniffles my mom would make a big pot of Grandma’s chicken soup. That warm, slightly salty elixir always felt nourishing and tasted delicious, even when my tummy was upset and my nose looked like Rudolph’s. While research shows mixed results for the effectiveness of “Jewish penicillin”, it certainly can’t hurt. Other stuff which may help keep your immune system functioning at its best include: vitamin D, vitamin C, beta carotene, and herbs like ginger, cinnamon, and astragalus. While these things are generally safe, make sure you talk to your acupuncturist or doctor to make sure you’re taking the right amount for your body. To reduce food-related stresses, keep your sugar and alcohol intake minimal and eat lots of fresh organic fruits and vegetables. Avoid foods which make your nose run or give you an upset stomach. The change in seasons is not the time to test whether you are still sensitive to that food you’ve been avoiding! 6) Manage your stress. Increased stress takes a toll on your immune system. The more stressed you are, the lower your resistance will be to the local microflora. Stress levels tend to rise during the holiday season as the demands of work and family collide with the financial realities of buying gifts and the overindulgence of seasonal parties. Make sure you carve out 30 minutes for yourself every day. Take this time to meditate or take a candlelight bath or go for a run or read a good book. Whatever YOU need to de-stress is what you should do during this time. More time is better than less, but every minute helps. 7) Hydrate. Most of us are chronically dehydrated, and research shows that our immune systems work best when we are adequately hydrated. How much water should you drink every day? Every study I read has a different answer. Some sources say 8 8oz glasses of water per day. 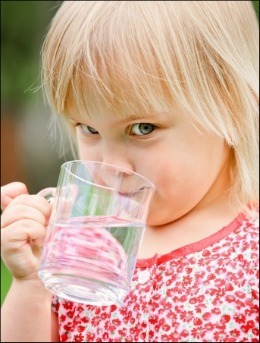 Others say 1 ounce of water daily for every pound of body weight. Chinese medicine says to drink only when thirsty. My recommendation is to keep a glass bottle with you and take sips throughout the day. If you drink enough that you are never really thirsty, you’re probably in the right range for your body. 8) See your acupuncturist. A seasonal pulse-balancing treatment helps to support a healthy immune system and gives your body an extra boost towards health. If your pulse reveals the beginnings of a bug, you can start herbs before you FEEL sick which may keep you from succumbing to the cold you are fighting. If your best efforts still allow a bug to get past your defenses, make sure you take the time to rest and recover. Stay in bed, drink extra fluids, keep on washing your hands, and ask a friend or family member to make you a big pot of chicken soup. The more you rest, the quicker you’ll be back in the saddle.